We were in St. Petersburg FL over the weekend for a get together and I took some time to look at the local parks. 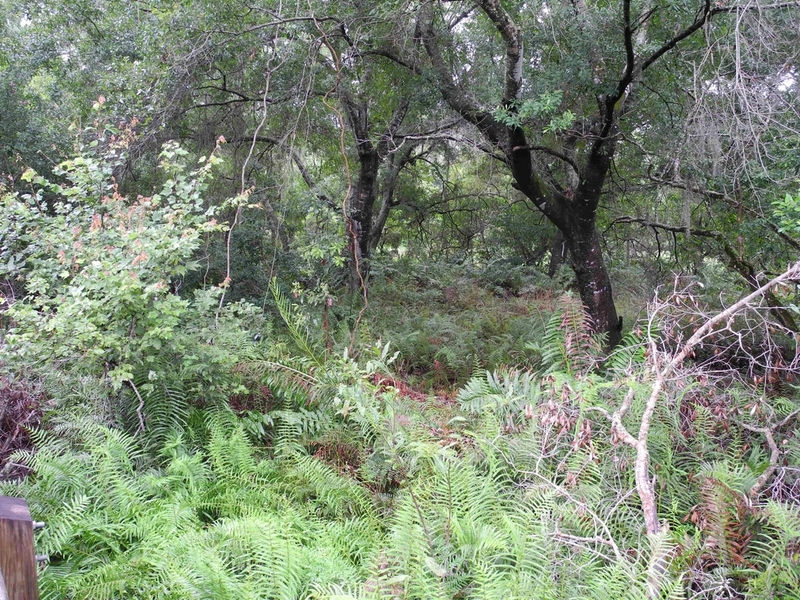 One interesting one I found was Sawgrass Lake Park at 7400 25th St. N, 33702. There is an environmental center there at the park and it is obviously used for school trips. The park is adjacent to Interstate 275 but there is no direct exit. 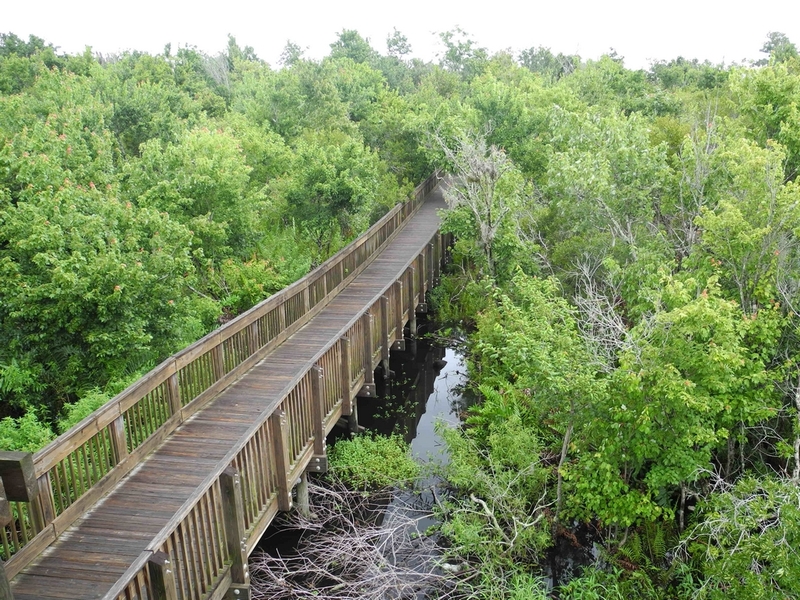 Most of the park is a boardwalk which winds through maple swamp. 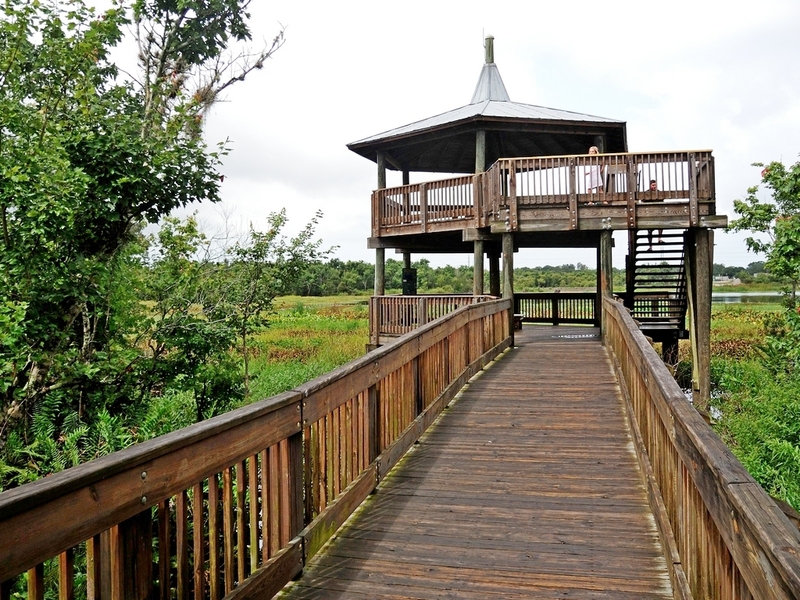 there is an elevated viewing platform at one part of the boardwalk which overlooks a swamp area and pond. There are a number of shelters along the boardwalk for rainy days. 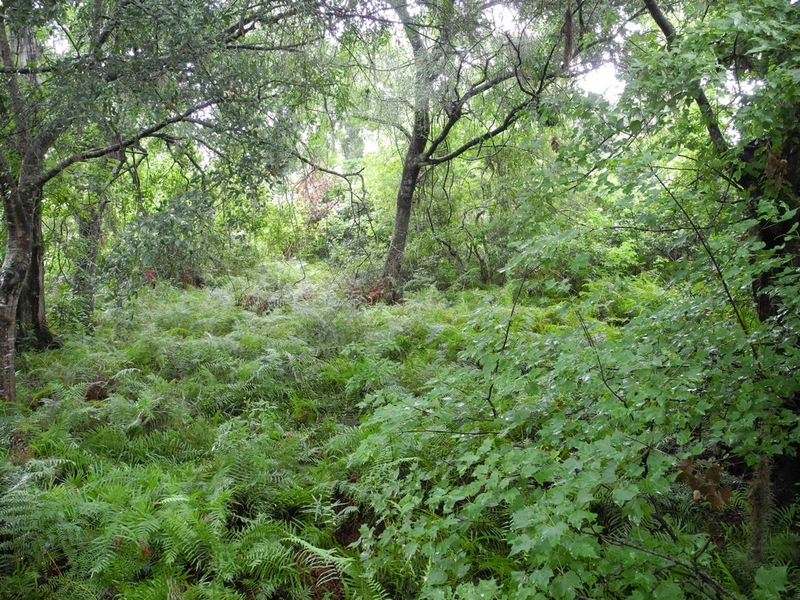 Here are a couple of views in the park, just click the pic for a larger view. Since it was one of those rainy days, I decided not to lug the big camera but took my Nikon P7100 along. It is really good for days like this since it fits easily into the pockets of my waterproof jacket. The cloudy day made for poor bird shooting but, there were plenty along the drainage canal and boardwalk. I saw Little Blue Herons, Limpkins, Moorhens, Ibis, Great and Snowy Egrets, etc. 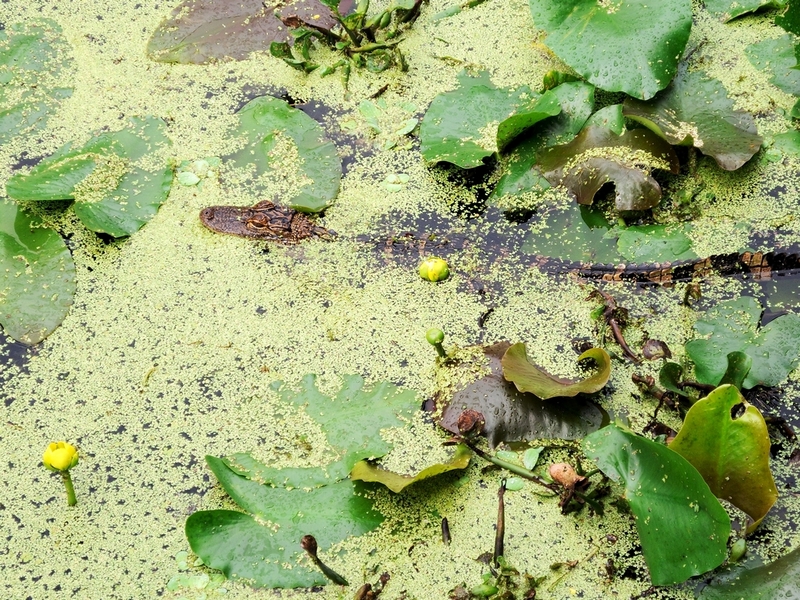 At the first of the shelters, I found several young alligators. One of them decided to stalk a moorhen but, wasn’t very good at it. As it moved through the duckweed and spatterdock, the moorhen caught sight of it and paddled off squawking it’s alarm call. It would certainly be a great place to spend time on a nicer day. 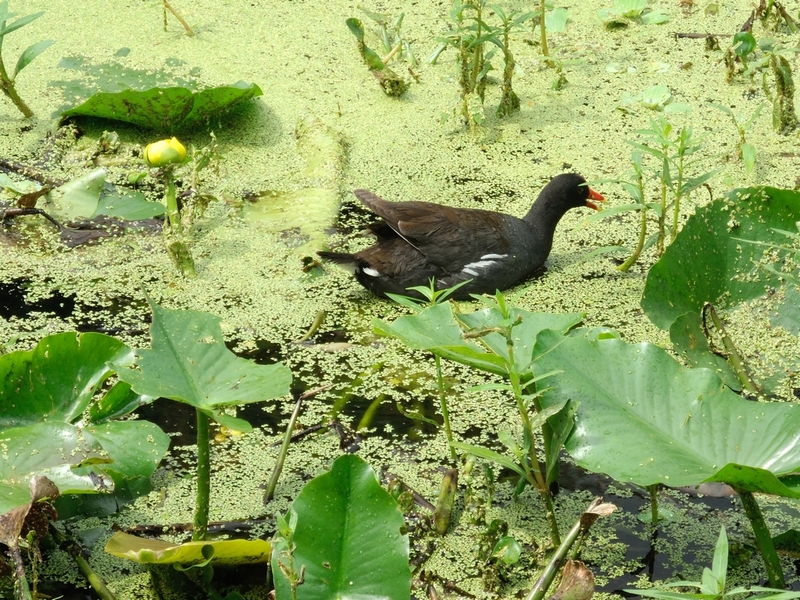 This entry was posted in Bird, Flower, Park, Photography, reptile and tagged boardwalk, common moorhen, duckweed, FL, Nikon P7100, Photography, Sawgrass Lake Park, spatterdock, St. Petersburg. Bookmark the permalink.